Welcome! Registrations are due Oct. 26th. If you downloaded a registration form prior to Oct. 9th, the contact information is incorrect. Please re-download for the correct form. We apologize for the mix up! Leslie Hunter was born and raised in the Chicago projects, the oldest of four and son of teen parents and alcoholics. Despite a not-so-easy-childhood, he always found is way to Holy Family Church--a come-as-you-are place that mixed a little bit of high church with a few Amens shouted in the middle of the sermon. At 15 years old, Leslie preached his first sermon. He was supported by his church and mentors, and was hired after high school to be an assisting minister on Sundays while he went to college. He spent the next 20 years there as parish minister and youth pastor, and ran a program called "Boys in the Hood". Boys in this program were ranking gang members who wanted more from life; Leslie put them to work building basketball courts or taking them on excursions throughout the city. Today Leslie works as a chaplain at Holy Family Ministries, 15 minutes down the road from Holy Family Church. And now he has a good relationship with his parents, even calling his mom his hero. His work is who he is--he is a storyteller, a musician, a poet. From the St. Paul Lutheran Church Blog, "Faith & Life Speaker 2015: Leslie Hunter"
WE ARE LEO is a group of artists, songwriters and worship leaders who make rad music. Recently, they've been touring on the "Get Schooled Tour" visiting over 70 junior and senior high schools and sharing their story with over 50,000 students. 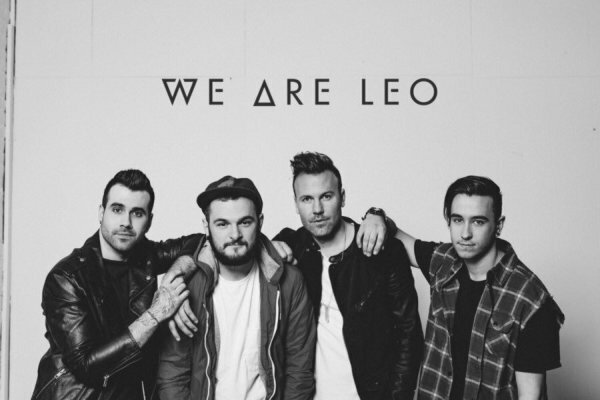 We Are Leo was featured on the soundtrack of the major motion picture, God's Not Dead -- A light in the darkness, with their latest single: You Light up My World. Their most recent full-length album, The Rush & The Roar, which released in May of 2017, included Dimensions which went to Spotify's TOP CHRISTIAN Playlist for several weeks, and 61/ Twenty-Three which went to #1 on Christian Music Weekly's hot AC chart last October. They were also nominated for two WE LOVE MUSIC awards in 2017: Best Band and Best Pop Album by NewReleaseToday.com. BOOKING A ROOM IS UP TO YOU and is not included in your registration fee. Please do not overbook, as that limits other groups. Visit the Metropolis website to book! Read a little bit about Godstock, how to register, what to expect, and details about our offering. Register by Friday, October 26th. Fill out this form and mail or email it to our registrars. Instructions are on the form! This form is for you to use and keep with you at all times during Godstock. ​Download and print a poster to have at your church or to send home with kids. There is time alloted during the weekend to have fun at the Trampoline Park, Action City, and Chaos Water Park. Waivers MUST be completed by parents before you arrive! Pr. Van was an ELCA Pastor in our synod who served as Chaplain for the board for many years until his untimely death in 2014. 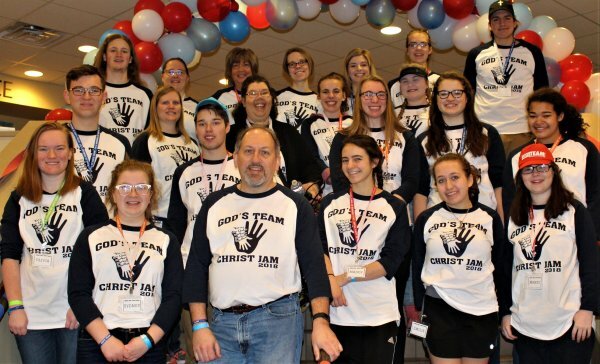 His family made funds available for students to attend Godstock and Christ Jam. Apply now! The Synod Youth Board is comprised of high school youth from all over our synod who have a passion for the future of the church! The board meets 4-5 times in a year to plan Godstock and Christ Jam. The SYB also has representation on the Synod Council. New board members are elected every Godstock!